We are pleased to approve All Seas Shipping Agency as new members in Tunisia. The company's headquarters are located at La Goulette, the port of Tunis, with branch offices in Bizerte, Sousse, Sfax, Skhira, Gabes and Zarzis. They were recommended by a current member in their application and Business Development & Project Manager, Majdi Briki says they are joining PCN "... to be part of an expert project network and collaborate with the professional members." Majdi continues; "With a shipping family background of 40 years and an experience of 13 years in the shipping industry, All Seas Shipping Agency was founded in 2005. Year after year, we have been growing and diversifying our activity in project cargo and today, we are one of the biggest actors in Tunisia. Our head office is in a century-old building located at La Goulette, 300m from the port gate and 1500m from Rades terminal, dedicated to RORO and containers." "We understand that project cargo is a specialised field that requires immense expertise, experience, and knowledge. We are well-equipped with these qualities and provide heavy lift and oversized cargo handling services, site to site, for import or export, through all Tunisian ports and airports. Our mission is to find efficient solutions, selecting the most appropriate modes of transport, ports and equipment, taking care of licenses and securing the environment. 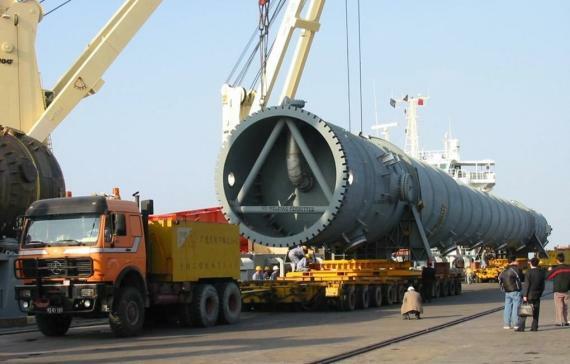 Our project cargo clients come from diverse sectors such as oil & gas, pulp & paper, automotive, construction, power & energy as well as aid cargo. Our reliable, well-trained and specialised project team are waiting to handle any requests from PCN members!" Please click below to download a company presentation from All Seas Shipping Agency which shows some of the recent project work.